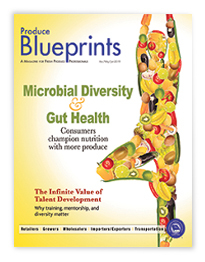 While diet determines the balance of good and bad microbes in the gut, a healthy microbiata and the substances produced when breaking down fiber from fruits and vegetables play a fundamental role in fighting disease and chronic illnesses in ways that go beyond gastrointestinal conditions like diarrhea, constipation, and indigestion. For starters, probiotics are essential to the function of the immune system, of which about 70 percent is located in the gut. Beneficial bacteria help shape the cells in the gastrointestinal immune system and appear to signal them into action against pathogenic invaders. Certain probiotic strains produce byproducts like peptides, which can kill pathogens and inhibit their growth, thus maintaining the microbial balance within the gut. Beyond effects on the immune system, probiotics can generate vitamins (e.g., K, B12, biotin, folate, thiamine) and neurotransmitters like serotonin, norepinephrine, and dopamine to affect brain function, including mood, anxiety, and behavior. Much research has also focused on short-chain fatty acids, which are metabolites produced through fermentation. They increase the acidity level in the colon, improving calcium and magnesium absorption and may inhibit the growth of pathogens. Some metabolites can fight carcinogens, such as glucosinolate, found in cruciferous vegetables (such as kale and broccoli). 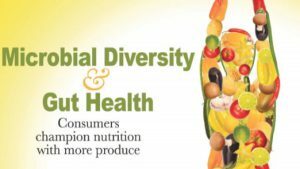 To reiterate, if a diverse microbiota can lead to good health, a loss of gut diversity, or dysbiosis, is often associated with a wide range of health problems from irritable bowel syndrome and Parkinson’s disease to allergies and depression. One significant source of dysbiosis is the use of antibiotics, wiping out both good and bad bugs. In some cases, it can take months for the microbiota to recover. Surgery, too, can cause dysbiosis. Bacteria can change their function in the body in response to stress, turning good bacteria into pathogens.